Inspiration Songket Affairs : Stunning Frocks: Modern meets Vintage by Jesus Preiro.. Stunning Frocks: Modern meets Vintage by Jesus Preiro..
Hello loves! Bright & shine todayy!! 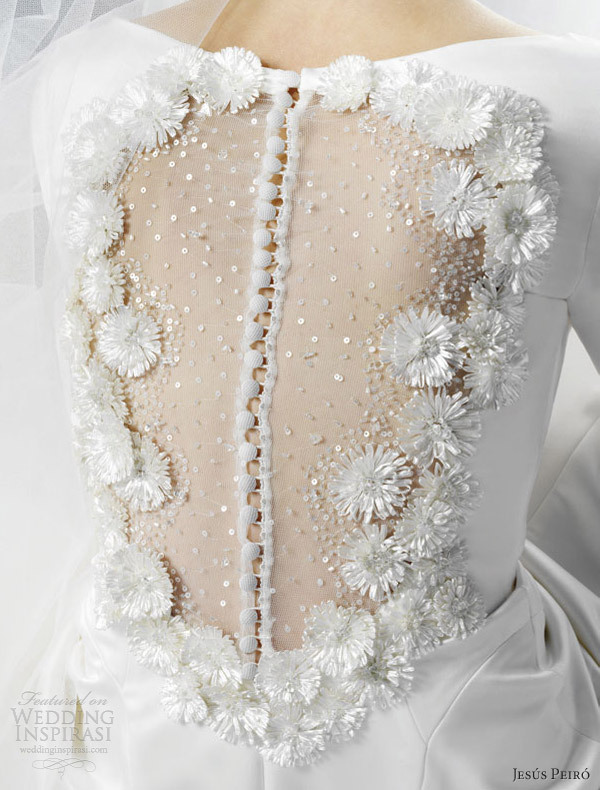 Whats not to love when a modern wedding gown meets vintage halfway? 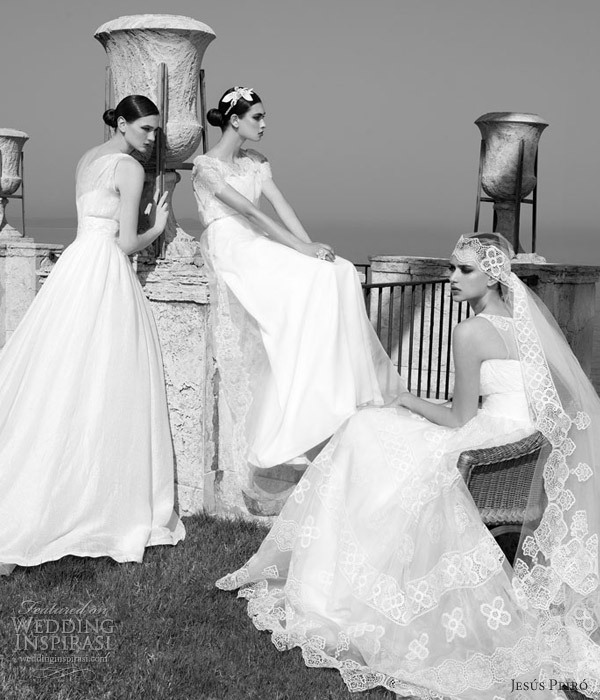 Its awesome we get all the love vibes...just by drooling at these Stunning photos from the look book of Spanish bridal house Jesús Peiró 2013 bridal collection. Such a perfection for those who loves everything classy & sophistication. For this Spanish house designer, their 2013 gorgeous designs were the amongst top romantic collection to date. 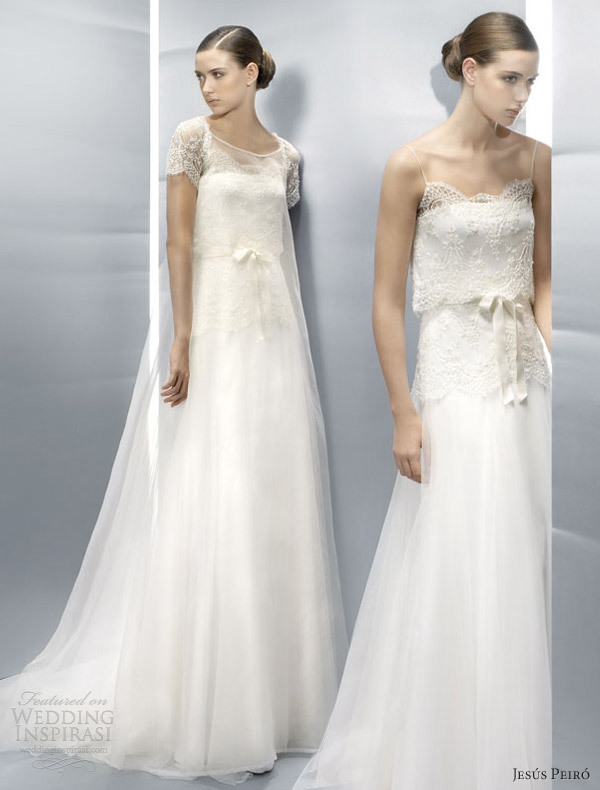 Emphasizing on delicate lace accents — it was one of their most feature quality. Their dresses are like a Midas touch — brilliantly incorporating metallic accents by adding a vintage glamour on each design. We looove all the wide varieties they offer of silhouettes and sleeve styles. 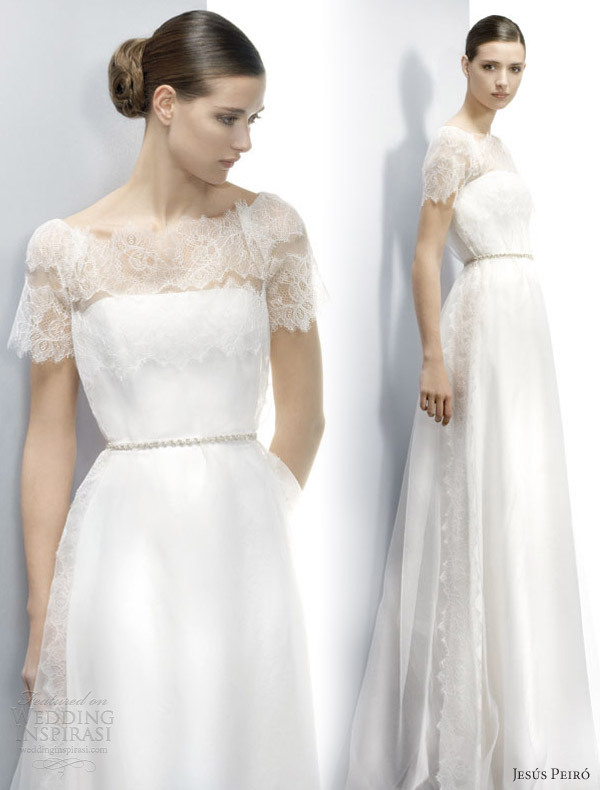 We cant get enough of the pretty lace sleeves on these gowns! 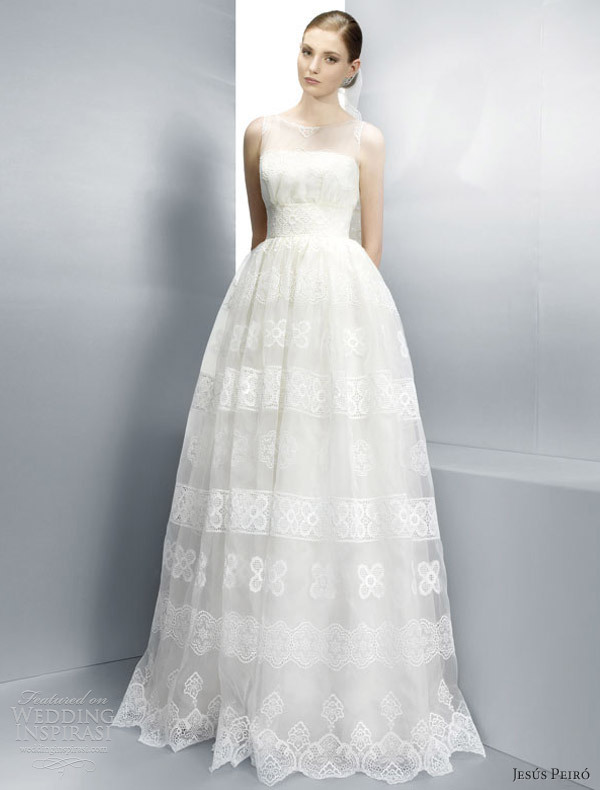 Above, strapless ball gown; & below, sleeveless all over lace ball gown with illusion straps. 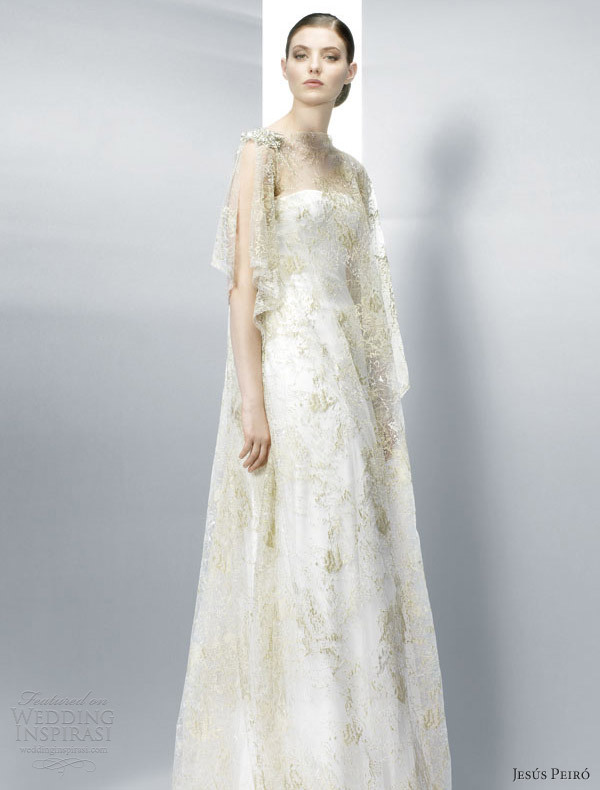 Another trademark of theirs below (*take note Conventional brides) Long sleeve sheath gown with a gold accents. Below, another pearl adorn bodice ball gown, with short sleeves. The gown below inspired by the 40s, a Blouson gown with spaghetti straps, shown with short sleeve overlay, on the left. 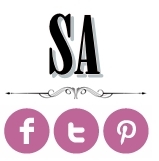 We looove how vintagish feel it made! 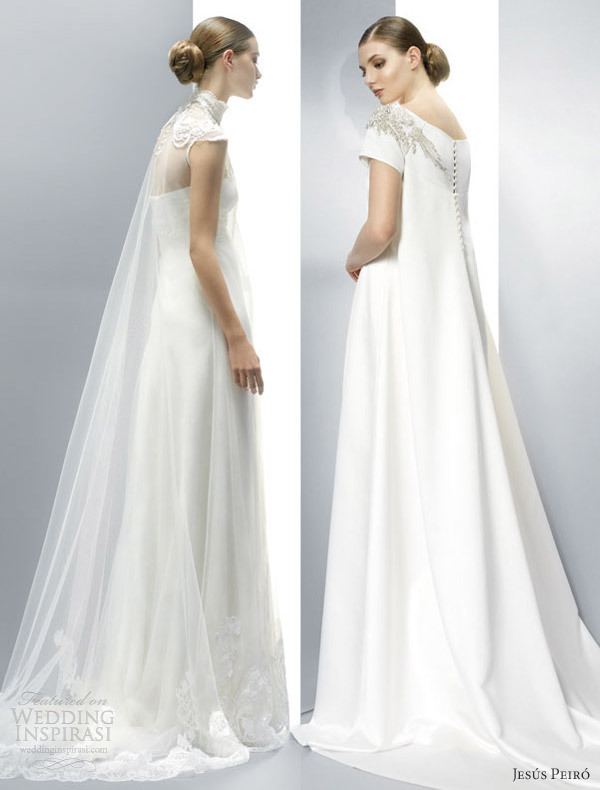 The following, sleeveless gown with beaded embellishment at the bodice and below; a V-neckline.sleeveless lace sheath gown with scalloped lace trim on the straps. Tiered skirt is everyone's fave these past years. Here's another strapless gown. The Strapless gown below brings out gold embellished kaftan-style flutter sleeve overlay. This one below is definitely our fave! Ponchos made its trademark in weddings too! A strapless tiered ball gown with sheer poncho-style overlay. And who knew these shapes of trains are more to come soon! — definitely on watch: more watteau style trains these days. Somehow we get a lil vibe they too are Twilight movie inspired wedding dresses..
Another hot trend this season...The portrait back wedding dress! Credits: Moderated by Inspirasi SA via Wed Inspirasi via Jesús Peiró.